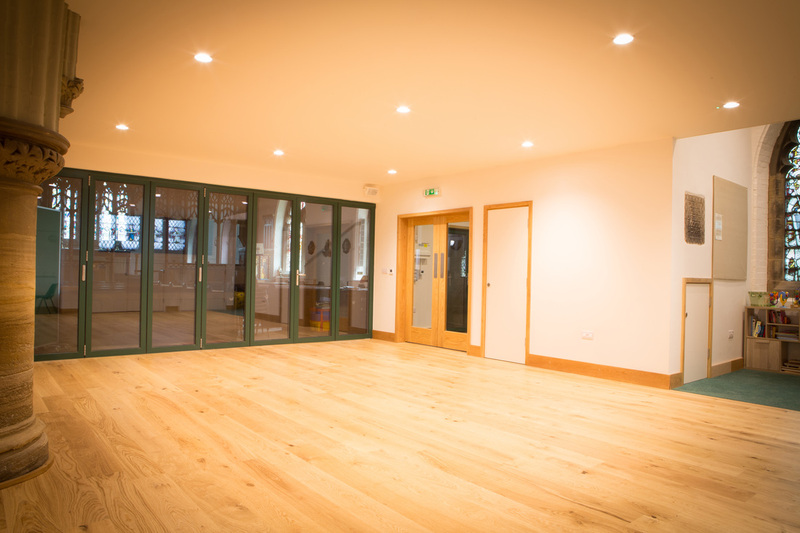 The large community space downstairs can be used for a variety of activities. Tables and chairs are available, including adult and children sizes. Various seating arrangements possible. The room is finished to an exceptionally high standard – the quality is clearly visible. The room is surrounded by beautiful stained glass windows and separated from the church by glass doors, which can open up the space further into the church area. 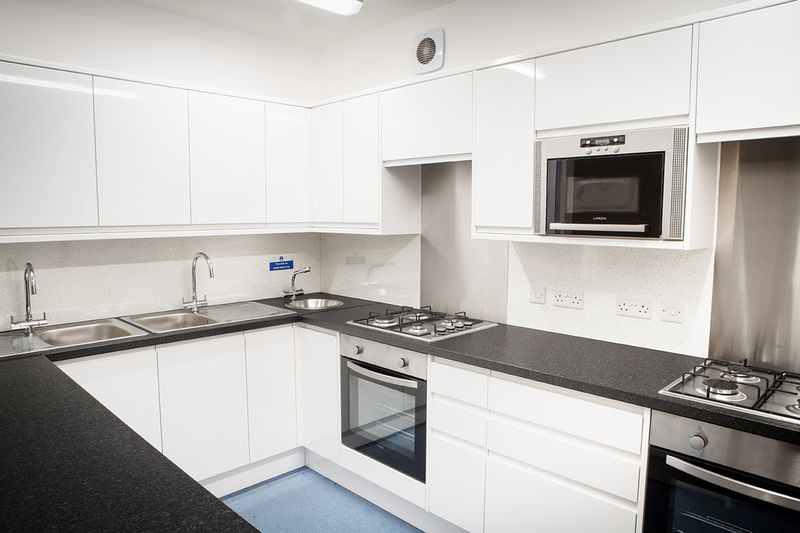 The community centre benefits from a fully equipped kitchen: two sinks, two hobs, two cookers, microwave, fridge, and water boiler – in addition to the usual kitchen utensils. Ideal facilities for cooking classes, parties, and other events requiring catering. 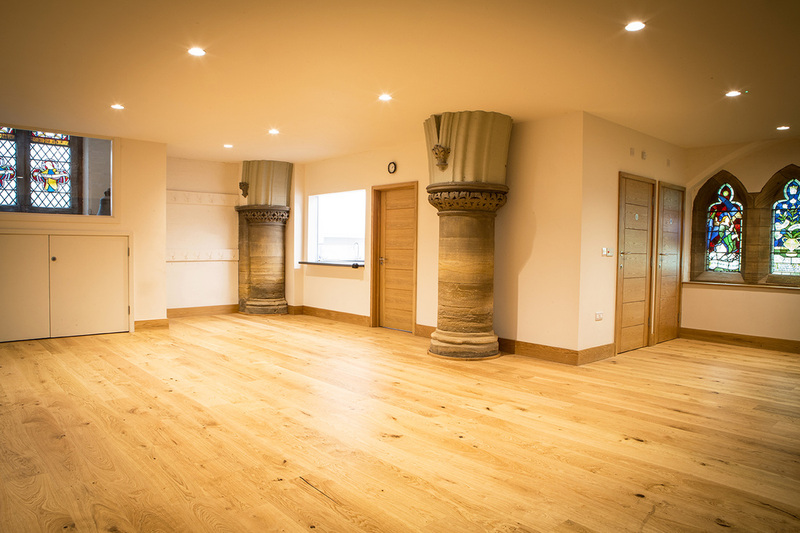 The community centre also benefits from underfloor heating, making it a warm and welcoming place to be. 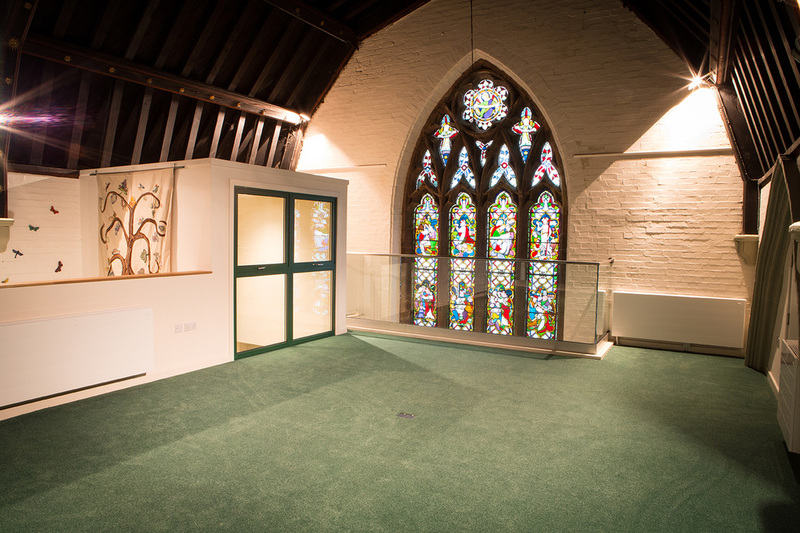 The upstairs community space is a mezzanine floor with a stunning backdrop of the beautiful stained glass ‘angel’ window. The room also overlooks the beautiful church itself. The room is carpeted throughout with a little snug area with seating to relax and chat. A warm and welcoming space for any event.